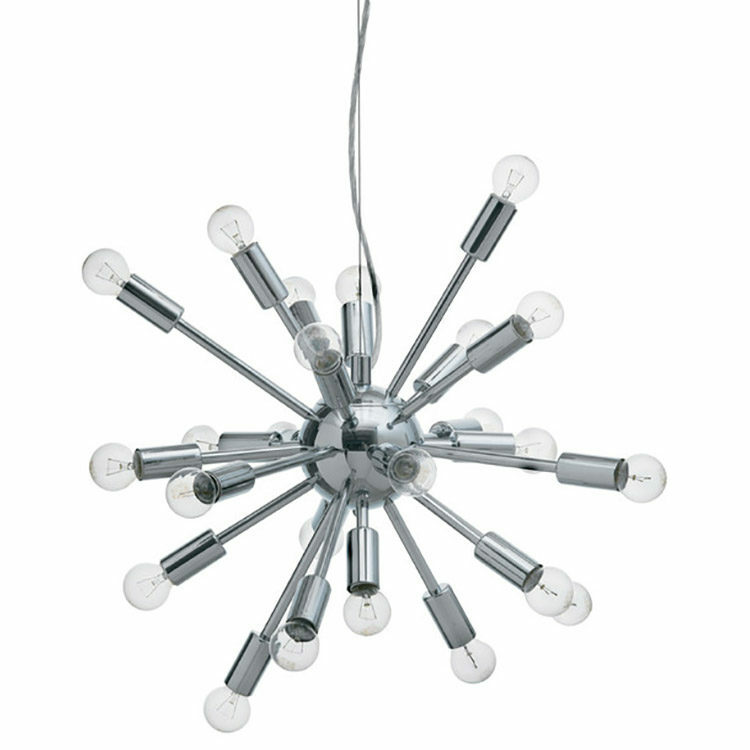 Named for the famous Russian spacecraft, the Sputnik pendant explodes against your ceiling with its 24 arms of polished chrome. Sputnik is a great example of how a simple ceiling fixture can add drama and fun to the practical accomplishment of providing light for your space. Each arm holds an up-to-25 watt candelabra base (E12) chrome-tipped bulb (first 24 provided). Cable provided for maximum drop of 60″ plus the size of the lamp (approx. 7 feet). Designed for hardwire installation into a standard ceiling junction box.